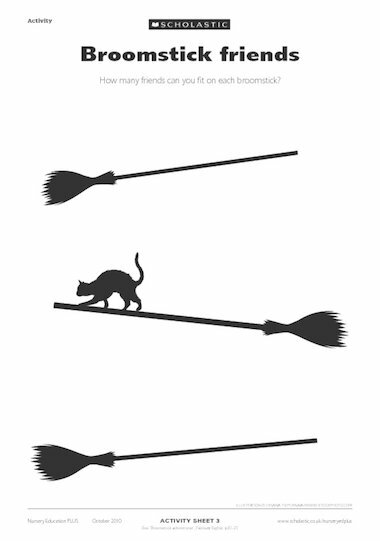 How many friends can you fit on each broomstick? Encourage children to decide how many friends they can fit on the broomsticks. Is there more space on any of the sticks? Compare the illustrations and then create images or drawings of the friends that the children can place on the activity sheet. Five balloons high in the sky!